U.S. Stocks Are In The Green Following A Strong NFP Report. The US Dollar has been in good demand over the past few months and about two weeks ago the USD index broke above the long term resistance level at around 95 points. EUR/USD also broke below 1.15 for the first time since last September. But in the last several days, we have been seeing a turnaround in the USDX and the major pairs as the sentiment improves a little since the Turkish Lira began stabilizing. Another reason for the relative calmness is the fact that we are in the summer holiday season, with most major players in forex being in holidays. Although, the change in the market sentiment is evident as the USD loses growth against risk currencies, but at the same time it is gaining against the Yen. This means that the JPY is feeling even weaker than the USD at the moment. 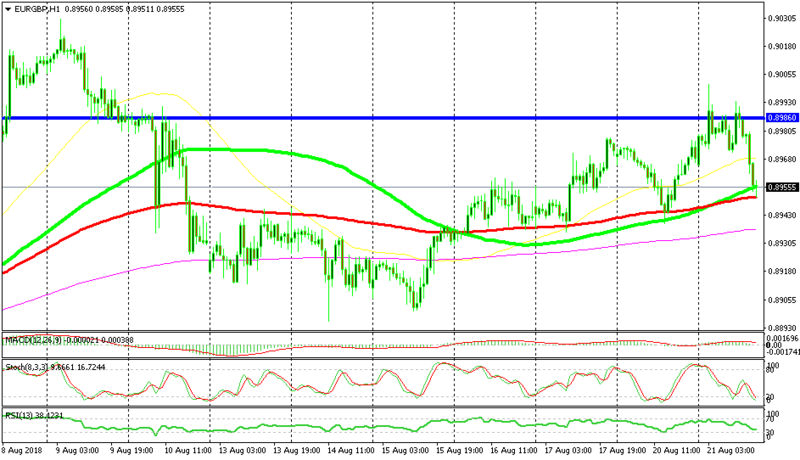 EUR/CHF is also making gains which is another sign that safe-havens are under attack at the moment. Indices are recuperating some of last week’s losses, albeit slowly. Donald Trump said yesterday that Europe and China are weakening the currencies and that he is not happy with the FED hiking interest rates. Probably this is the reason the USD is sliding nonstop today. Switzerland trade Balance – The trade surplus was expected was expected to increase from 2.56 billion Francs to 2.85 billion but it fell to 2.26 billion Francs. The trend here is going down. China Wants to Settle Things with Negotiations – The Chinese Foreign Minister said that China wishes to settle trade disputes with the US by negotiating. Well, they are meeting tomorrow, so it will be very interesting to see if they reach an accord, which would improve the sentiment in financial markets greatly. UK Foreign Minister Increasingly Believes in A No-Deal Brexit – Hunt said early this morning that a no-deal Brexit is not negligible now but that would be a big geo-strategic mistake for Europe. The EU has made its move and we know where it stands, and now the ball is in the UK court to kick. UK Public Sector Borrowing – The public sector borrowing has increased in the last several months, but returned back to negative now. It was expected to fall by 2.1 billion Pounds, but it decreased by 2.9 billion. This is a good thing since it dries up funds for the private sector to borrow. 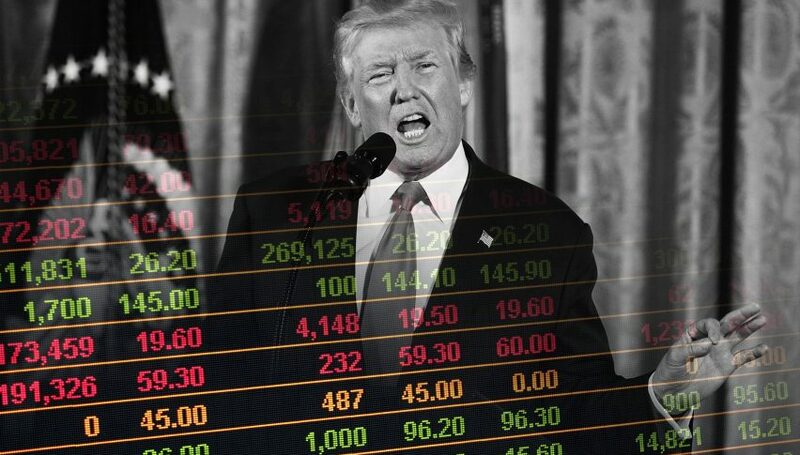 Germans Strike Back at Trump – After yesterday’s jab Trump had at China and the EU for manipulating and weakening the currency, the CDU member Hardt commented today saying that Europe is not manipulating the currency and that the German trade surplus is due to product quality. No arguing there but go and convince Trump. UK CBI Industrial Order Expectations – The CBI index for industrial orders has been increasing in the last two months, but it took a turnaround today falling to 7 points from 11 previously. Still, not at bad place though. Canadian Wholesale Sales – The recent economic data from Canada has been positive and wholesale sales have been growing nicely in the last several months. But, the sales took a bearish turn and fell by 0.8% this time and last month’s number was revised lower as well. GDT Price Index – The global dairy trade auction is supposed to be held today in New Zealand. Last month the prices didn’t change at all, so let’s see how they end up today. If the prices rise, then it will likely support the NZD even further today. EU Expects Delay in Brexit Deal – Reuters published a source earlier saying that the EU is not expecting to find a deal with the UK before the EU summit in October. So, it might be postponed for November then, or who knows, perhaps forever. The US Auto Tariffs May Be Delayed – Wilbur Ross said today that it might take some time to finish up the report regarding Auto tariffs. Europe is the target for these tariffs. Yesterday we highlighted the same chart setup in EUR/GBP. This pair has been in an uptrend for a few weeks and last week the smaller trend turned bullish on smaller timeframes as well. During the Asian session, this pair completed a retrace though but the 100 simple (green) and smooth (red) MAs held the decline pretty well. We can see the same chart setup today again. These two moving averages are still providing support after the retrace in the Asian session today. Stochastic is oversold which means that the H1 chart is oversold. The price is starting to reverse higher now so perhaps this is a good chance to go long. The markets are calm again today but they are trendy and as we mentioned, the trend is going against the safe-havens. But, the tide might shift in no time as it usually does in such times when liquidity is thin. Trade carefully guys and make some nice profit if you can.